WebSchedule is a professional scheduling tool that can be used as a stand alone application or as a fully integrated feature within our LIMA software suite. As this application is based on style-sheet design, it can be fully customised to fit seamlessly with the look and feel of your own website. And its intuitive interface makes for an easy user experience. Use WebSchedule as a fast and easy way of creating and publishing any type of schedule direct to your website. It is hassle free, it presents a professional face to your clients and it saves time and resource. 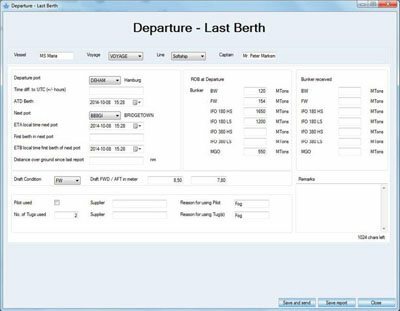 This is our robust and uncomplicated tool for sending arrival, departure and noon reports. It runs from a USB device and so requires no onboard installation. Using this facility ensures the flow of reliable and timely information between the Master and your office; input of error-free data into your LIMA system; and automatic schedule updates. Additionally, it saves a significant amount of time and resource for your shore-side and seaborne teams. Vessel reporting comes with report designer allowing you to build customer specific click-forms and an integrated data check ensures information is consistent before transmitting your report to as many recipients as required. 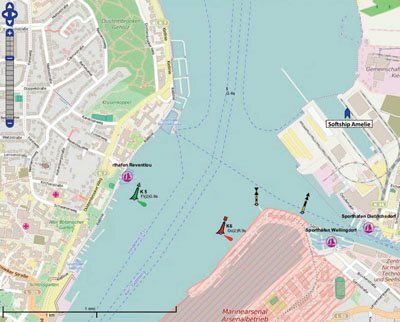 SeaMap is our new graphical display of your current vessel positions fully colour coded to give an at-a-glance overview of on-time and delayed voyages together with your vessels at anchor and those engaged in cargo operations. 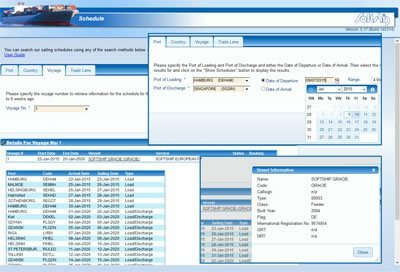 SeaMap links vessel specific information (such as ETA, ETS) from VOYCES together with a real-time AIS feed and vessel reports to deliver a comprehensive and up-to-the-minute status report of your fleet. It is also possible to overlay this information with real-time weather conditions and seamarks. Using SeaMap allows you to easily monitor schedules and deviations; control speed orders and manage your fleet more effectively.